Follow your dreams, follow your heart, follow your feet! Welcome back dancers! In our third lesson of the course, we are going to learn and practice some new terms and movements to improve your ballet technique. After that, inspire yourselves with an amazing story of perseverance and having the guts to do what you love, even if that means to defy many things. 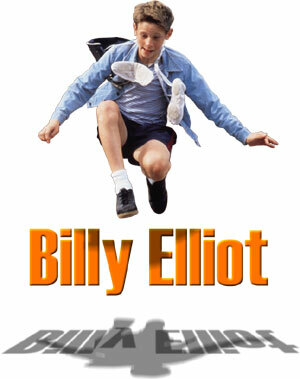 This story may appeal to our male students quite a lot, so we will be closing this lesson with Billy Eliot! Excited? Let’s begin! COU-DE-PIED: On the "Neck" of the foot. The working foot is placed on the part of the leg between the base of the calf and the beginning of the ankle. PLIÉ: Bent, bending. A bending of the knee or knees. There are two principal pliés: grand plié or full bending of the knees (the knees should be bent until the thighs are horizontal) and demi-plié or half-bending of the knees. Pliés are done at the bar and in the centre in all five positions of the feet. DÉVELOPPÉ: A développé is a movement in which the working leg is drawn up to the knee of the supporting leg and slowly extended to an open position in the air and held there with perfect control. ÉCHAPPÉ: Escaping or slipping movement. An échappé is a level opening of both feet from a closed to an open position. You start from a closed position (fifth position), jump, and finish in an open position in a demi-plié. ENTRECHAT: A step of beating in which the dancer jumps into the air and rapidly crosses the legs before and behind each other. FONDU: Sinking down. A term used to describe a lowering of the body made by bending the knee of the supporting leg. FOUETTÉ: Whipped. A term applied to a whipping movement. The movement may be a short whipped movement of the raised foot as it passes rapidly in front of or behind the supporting foot or the sharp whipping around of the body from one direction to another. GLISSADE: Glide. A traveling step executed by gliding the working foot from the fifth position in the required direction, the other foot closing to it. JETÉ: Throwing step. A jump from one foot to the other in which the working leg is brushed into the air and appears to have been thrown. One of the most common is the grand-jeté in which the legs are thrown to 90 degrees with a corresponding high jump. PAS DE BOURRÉE: A walking or running step. A transitional movement in ballet in which the dancer transfers body weight quickly from foot to foot in three small steps: travelling back, side, and front. Billy Elliot is one of the most recognized ballet movies, particularly because it is a boy who wants to dance ballet but fears the reaction of his father, who only wants him to practice box. Some boys may have lived similar situations and can identify with Billy, who also gives us a great lesson of perseverance because he decides to pursue his dream despite the obstacles he was facing and succeeds! 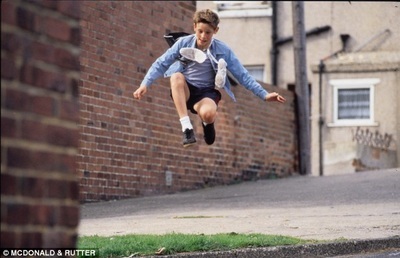 Billy Elliot is a dance drama film released in the year 2000, distributed by Universal Pictures. The cast includes Jamie Bell as Billy Elliot, an aspiring dancer dealing with the negative stereotype of the male ballet dancer, Gary Lewis as his father, Jamie Draven as Billy's bullying older brother, and Julie Walters as his ballet teacher. Billy Elliot is an 11 year old English boy who dreams of becoming a professional ballet dancer, however, pursuing that dream seems impossible because his father doesn’t support him. Billy lives with his father, his older brother (both are coal miners), and her grandmother who also aspired to become a professional dancer when she was young. Billy’s father, Jackie, forces him to take boxing lessons, but Billy hates that sport. When Mrs. Sandra Wilkinson’s ballet group starts taking their lessons in the same boxing gym, Billy joins the ballet class. When his father discovers that, he prohibits Billy to continue taking the ballet lessons but Billy, passionate about that art, secretly continues going. Mrs. Wilkinson helps Billy with ballet because she believes that he has the potential and talent to join the Royal Ballet School in London. With a new dream in mind, Billy has to stand his father’s rejection, who won’t support him at all. After one missed audition, Jackie finally catches Billy dancing and realizes that his son is truly gifted. This causes a complete change of mind and Jackie decides to support Billy no matter what. After much sacrifice, and the support of his fellow miners and neighbors, Jackie manages to raise enough money and takes Billy to London to audition for the Royal Ballet School. Billy’s audition goes well but out of nerves and frustration he punches another boy. Defeated, Billy and his father return home, believing that he has ruined his only chance to attend the very prestigious Ballet School. Unexpectedly, sometime later the Royal Ballet School sends a letter to Billy informing him that he had been accepted and Billy has to leave to attend school. Fourteen years later, we get to see that Billy achieved his goal and is about to perform the Swan in the Swan Lake while his father and brother watch from the audience. The success of this film can’t be denied. It was nominated to numerous awards, including three Academy Awards Nominations for Best Director (Stephen Daldry), Best Actress in a Supporting Role (Julie Walters), and Best Original Screen Play (Lee Hall). Please watch the following clips, that represent some important dance movements from the film: 1) "I love to boogie", when Mrs. Wilkinson is training Billy for his audition. 2) "Dancing to dad", when Billy's dad finally realizes how talented and gifted his son is, and 3) "The Final Scene", right at the end of the movie, a truly inspiring and emotional moment. This movie also inspired a musical theatre version! It premiered at the Victoria Palace Theatre in Lodon’s West End in 2005. The music is by Elton John and the Book and Lyrics by Lee Hall, who also wrote the screen play for the film! The success of this musical is undeniable. In 2008 the musical premiered in Broadway and it won 10 Tony Awards, including Best Book, Best Performance by a Leading Actor, Best Direction, Best Choreography, Best Scenic Design, and of course, Best Musical! ​The story of the musical is the same as the movie. The musical is divided in two acts, and some important musical numbers include: “Shine”, “Solidarity”, “Born to Boogie”, “Angry Dance”, “Swan Lake”, “He Could Be a Star”, and “Electricity”. Now, please watch one of the most popular and recognized numbers of the musical: "Dream Ballet"
Curious to know more fun facts about Billy Elliot? Check them out! 2. For the final scene, in which adult Billy is about to perform, the directors weren’t sure if Mrs. Wilkinson should be there in the audience or not. In the end it came down to the fact that Julie Walters wasn't available for filming, so Mrs. Wilkins didn’t appear. 3. In the final scene, the ballet in which Billy performs is Matthew Bourne's version of "Swan Lake" where all the Swans are played by men. 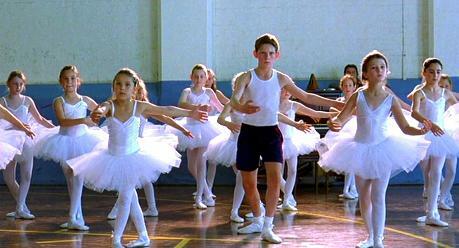 Billy plays the part of the Swan, the same part he discusses with Mrs Wilkinson earlier in the film. 4. 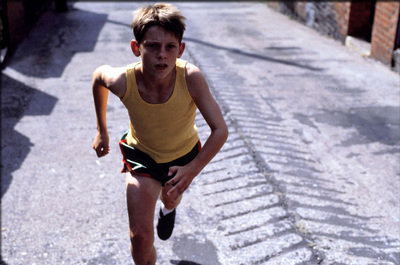 Jamie Bell was going through puberty at the time of filming. Some of his dialog had to be post-synched as his voice had broken. And the opening scene in which he jumps up and down on a bed was shot over a lengthy period of time. For the latter takes, Bell had acquired hair on his legs and had to have them shaved. 5. When Elton John first saw the film at Cannes he immediately pitched the idea of making a stage musical of it to director Stephen Daldry.